Customers can expect quick delivery since we are well stocked with generators and our transportation fleet includes 12 trucks. From our headquarters in Newbury, we serve a large territory within Northeast Ohio, including Cuyahoga and Geauga Counties. What company owner Jeff Portman likes about being in the generator business is how his company can deliver peace of mind to customers by installing a quality product that will serve their needs in the case of a power outage. He understands the sense of urgency that surrounds these situations. Ohio Generator Experts is a division of The Portman Company. 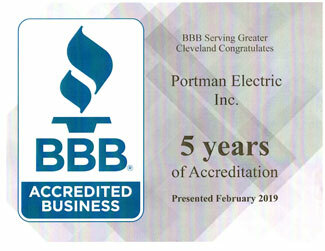 The first company, Portman Electric, Inc., was founded in 1988 and has established itself as a leader in its field. 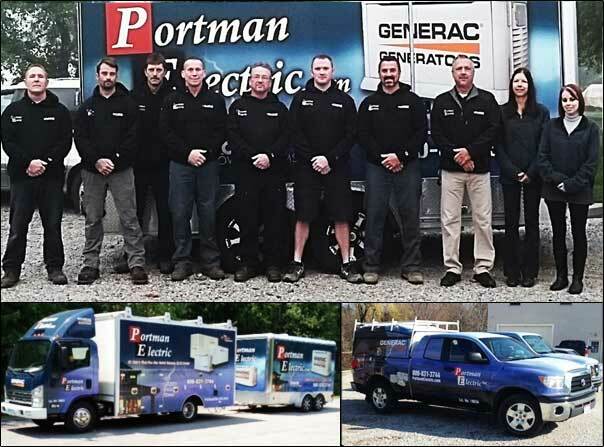 Company owner, Jeff Portman, has over 42 years of experience in the electrical, servicing, and generator business. We have a skilled team of journeyman electricians and factory certified generator technicians. In 1998, The Portman Company started a generator business featuring Generac generators and called it Ohio Generator Experts. Ohio Generator Experts are a Generac PowerPro Elite Plus Dealer, which is a representation of their client volume and continual growth. Ohio Generator Experts are proud to be one of two Generac Elite Dealers in the tri-county area. Ohio Generator Experts also offers and provides customers with the option for Kohler Generators. One of the #1 uses for generators is power for sump pumps, where basements would flood within hours if not for a back-up source of power. Also, clients depend on them for food preservation and medical devices. Customers can expect quick delivery since we are well stocked with generators and our transportation fleet includes 12 trucks. We can offer installation within 2 weeks, a time frame that’s mostly dependent on each jurisdiction’s turn around for permits and approval of our drawings. Permits are required by state law and are an essential part of the process. Without them, a client is at risk, should there ever be an insurance claim. We also employ state licensed plumbers to complete installation work which guarantees that your project will be handled with expertise. Many of these staff members have worked for us for 25 years, and among our staff are several former military members. We are a family-run business with a relaxed, comfortable, people-oriented office culture. Customers notice and appreciate how easy we are to work with, and they are some our best lead producers, recommending us to those in their network. The growth of our company can be attributed to our honest reputation, professionalism, quality of service, and the trust we have earned from our clients.